This slatwall shelf measure 12"d x 24"w to display various retail merchandise. 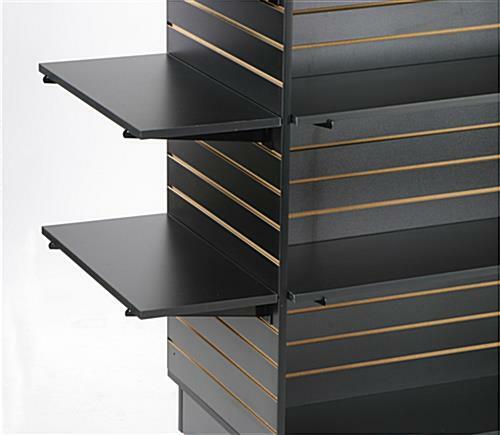 The shelving display, melamine slatwall shelves are finished in a handsome black on all surfaces. The black shelf is 3/4" thick and is designed to hold moderately heavy items. The slatwall shelf perfectly matches any of our black slatwall gondolas and other slatwall displays. 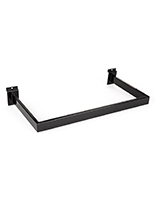 This 12"d x 24"w black shelf, the acrylic shelving products, and other slatwall shelves we offer put your clothing, accessories, food, and retail items on display. It attaches easily to slatwall fixtures with standard 12" knife brackets. The shelf simply rests on top of the bracket behind the lip. 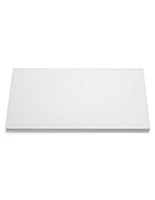 The brackets are sold separately (see related items at right). 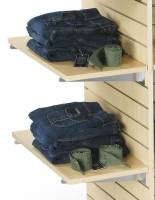 The slatwall shelf is solid, durable, and affordable store displays. 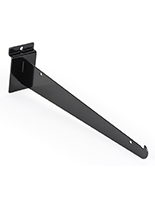 This shelf is also available in a longer, 48" size for larger slatwall fixtures. 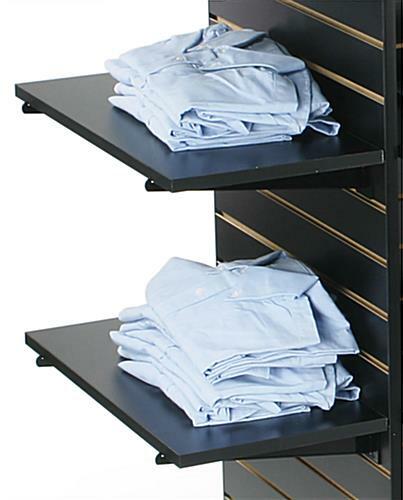 These shelving units were great. Exactly how they appear. We're so glad these shelves work well for you, Allison! It fits my retail station perfectly! I am satisfied with this shelf. It was easy to put together, it was black. The only issue was there was a little bit of tread on the outside but you can't really notice it unless you are looking up close. For the price, it fit my needs perfectly.